The U.S. State Department today issued an updated travel advisory for Americans planning to attend the Sochi Olympics. And while the State Department states it is is presently unaware of any threat specifically aimed at Americans, the message did include a special (and vague) warning to LGBT travelers. 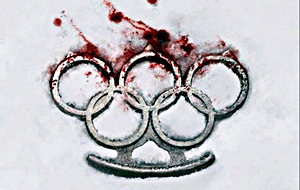 TERRORISM: Large-scale public events such as the Olympics present an attractive target for terrorists. Russian authorities have indicated that they are taking appropriate security measures in Sochi in light of this. Acts of terrorism, including bombings and hostage takings, continue to occur in Russia, particularly in the North Caucasus region. Between October 15 and December 30, 2013, there were three suicide bombings targeting public transportation in the city of Volgograd (600 miles from Sochi), two of which occurred within the same 24-hour period. Other bombings over the past 10-15 years occurred at Russian government buildings, airports, hotels, tourist sites, markets, entertainment venues, schools, and residential complexes. There have also been large-scale attacks on public transportation including subways, buses, trains, and scheduled commercial flights, in the same time period. LESBIAN, GAY, BISEXUAL, AND TRANSGENDER (LGBT) ISSUES: In June 2013, Russia’s State Duma passed a law banning the “propaganda of nontraditional sexual relations” to minors. The U.S. government understands that this law applies to both Russian citizens and foreigners in Russia. Russian citizens found guilty of violating the law could face a fine of up to 100,000 rubles ($3,100). Foreign citizens face similar fines, up to 14 days in jail, and deportation. The law makes it a crime to promote LGBT equality in public, but lacks concrete legal definitions for key terms. Russian authorities have indicated a broad interpretation of what constitutes “LGBT propaganda,” and provided vague guidance as to which actions will be interpreted by authorities as “LGBT propaganda.” LGBT travelers should review the State Department’s LGBT Travel Information page. “provided vague guidance as to which actions will be interpreted by authorities as ‘LGBT propaganda.’”? You can read the full advisory HERE.